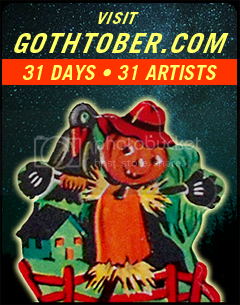 Visit the Gothtober Countdown Calendar and CLICK DAY FOUR to see a brand new recipe by Yuki Okada! From the creator of AryaBakesAPie.com comes a brand new bloody good recipe for Red Wedding Molten Cakes! 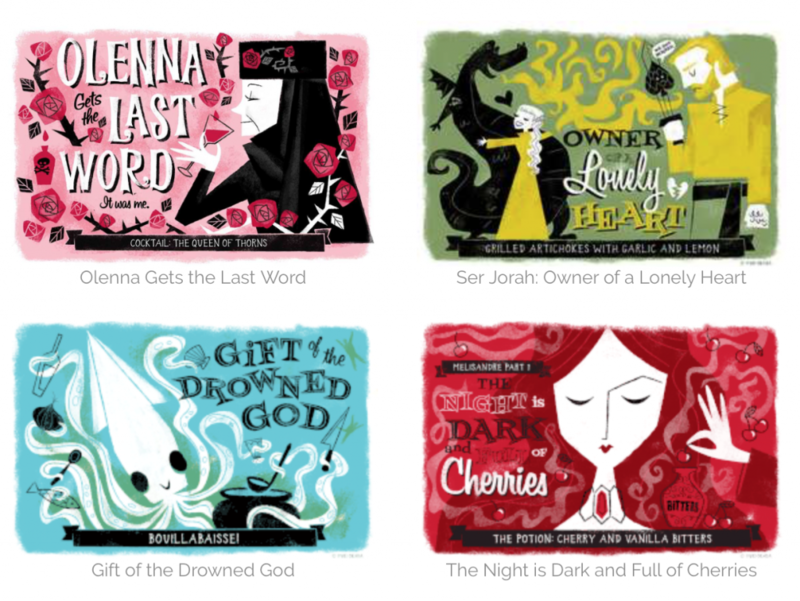 Yuki Okada decided to create a series of illustrated recipes based on the HBO Blockbuster show, Game of Thrones. For Gothtober, she’s created a red velvet/molten cake combo recipe in honor of the most infamous wedding in Westeros! It involves a ganache center, ramekins, heating, chilling, and a whole lot of passion, dismay, deceit, despair… aw hell just… ALL THE FEELINGS. For more wondrous innovations from Yuki’s kitchen, visit her website, AryaBakesAPie.